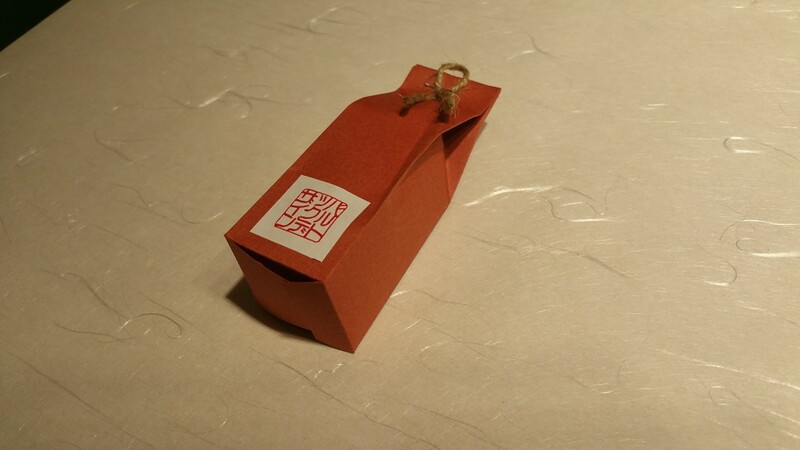 Indiegogo campaign: hinoki aroma cards | Bartok design Co. Indiegogo campaign: hinoki aroma cards – Bartok design Co. 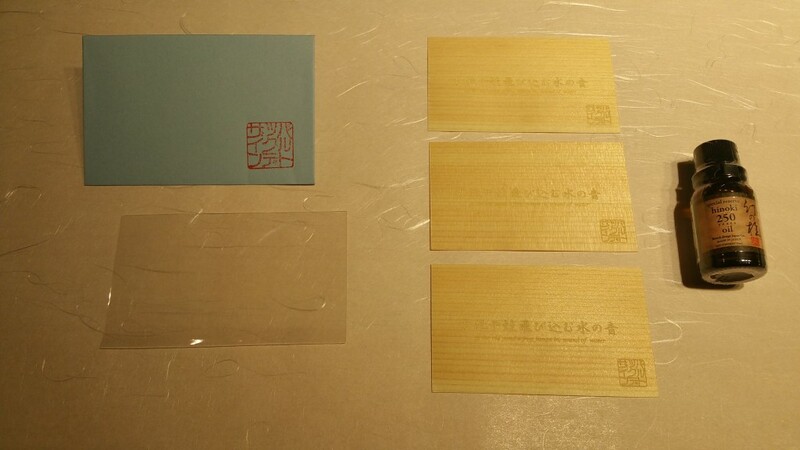 It is common for somebody working in a lumberyard or a carpenter in Japan to print business cards on special cards made of laminated real wood veneer. 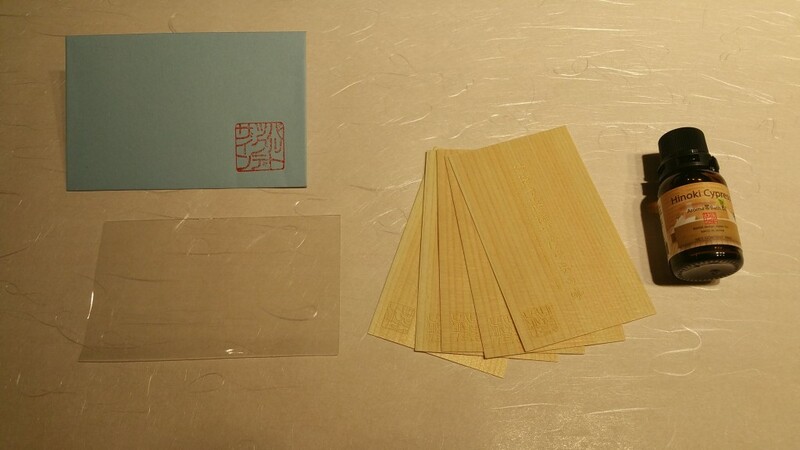 It is different from other paper cards and leaves a lasting impression Also, it links immediately the person with the image of natural products and is easy to find it in a bunch of other cards. Few years ago. 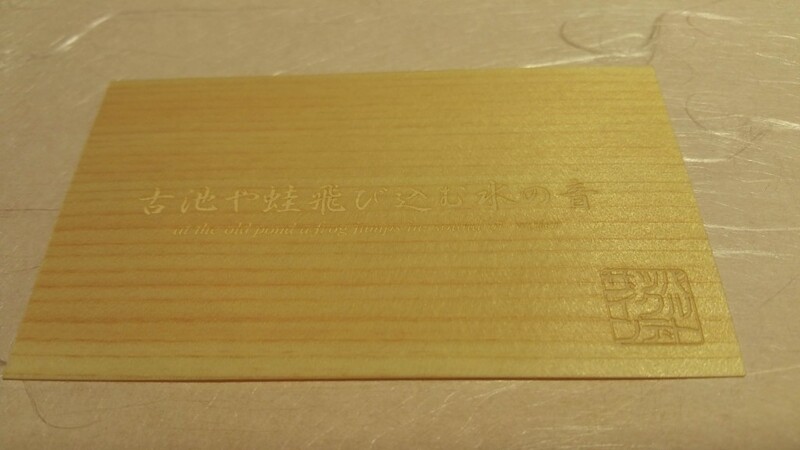 I also started printing my business on hinoki veneer. 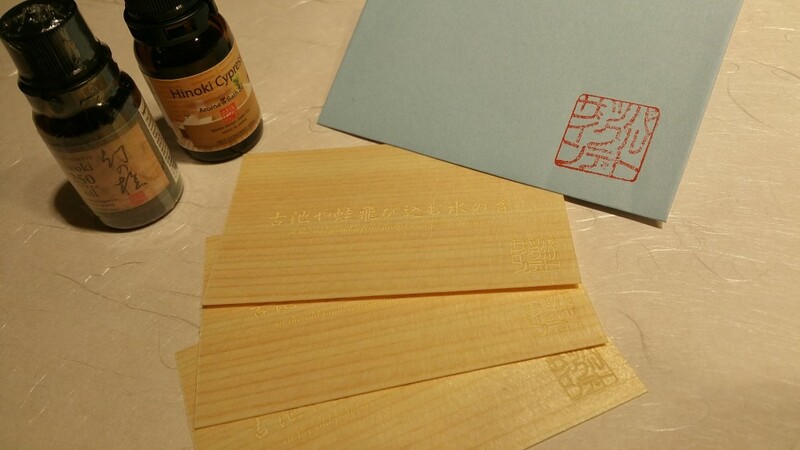 It is done with ink jet and since the hinoki veneer is quite oily, the quality of the print is often blurry. In some of the cards (say 10%) the defect was so evident that I did not feel to use them. 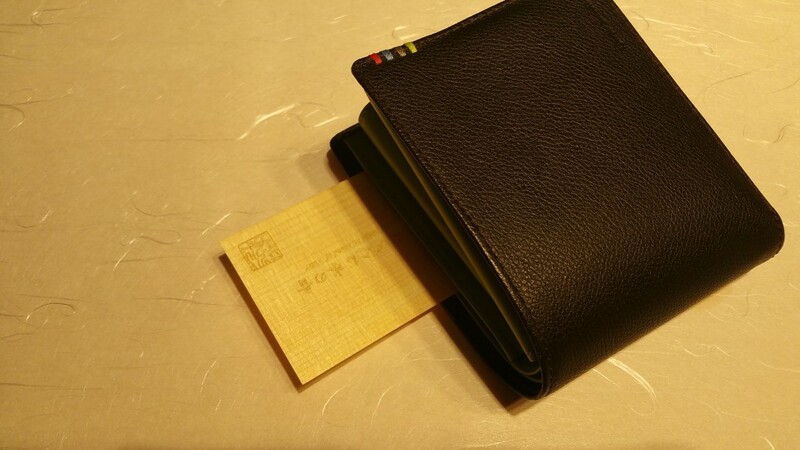 I glued two of them back to back with a double stick mat and kept some in my wallet as a mini “hinoki sample” that I could handle to clients when needed. 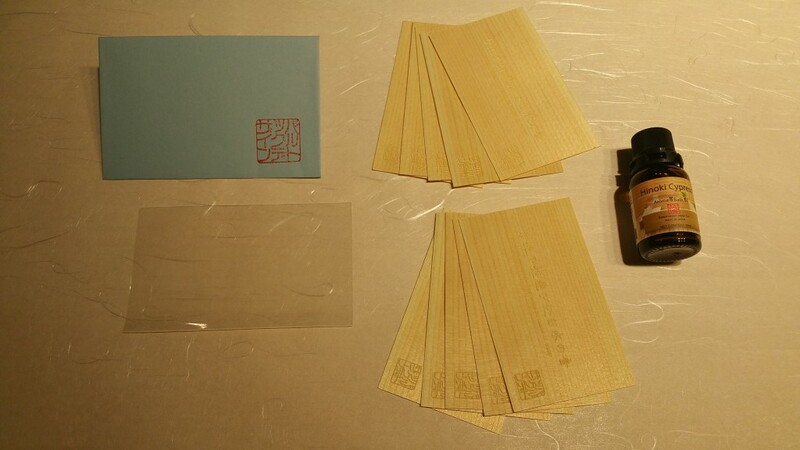 When the cards are stored in their box they maintain some slight hinoki aroma, despite the wood layer is so thin. Anyway, when exposed to the air, the aroma almost disappears completely, while the soft, smooth warm touch of hinoki is exactly the same of a solid piece of lumber. I believe that one of the great features of hinoki (and soaking in hinoki wood bathtubs) is that enables us to re-train ourselves to the use of all the senses. Well, unless you do not bite the wood, you cannot perceive its taste… but in a world overly visual, being able to deeply stimulate the sense of smell, touch, hearing (the water cascading in a hinoki bathtub) are very healthy exercises that help us keeping a balance. And it is needless to say that I could spend hours at “caressing” with my eyes the refined grain, the subtle white/pink/honey color of hinoki and its shining silky surface. I might add that thanks to the synergy of the 4 senses, hinoki wood opens the doors to a sixth sense, through the relaxing and energizing feeling of the full sensorial experience. For “sixth sense” I intend inspiration, ability to focus, to see clearly. For others could be a feeling of healing, comfort or just deep relaxation. 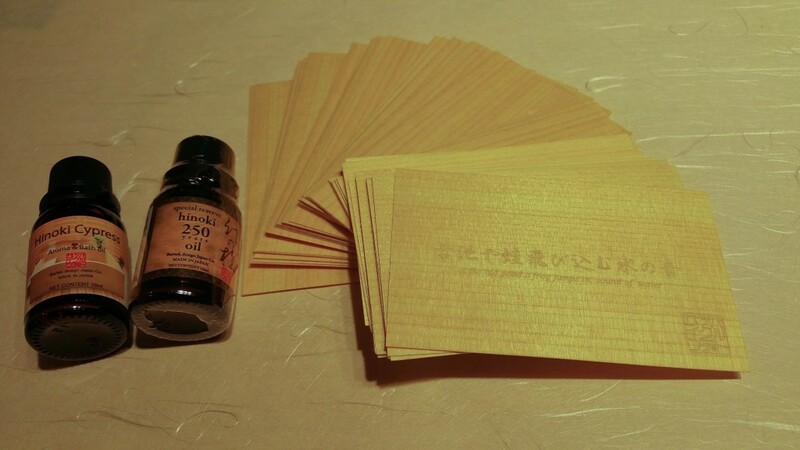 To better explain the “full sensorial experience” of hinoki – since as I said above the smell fades quickly – I thought to restore the aroma by applying some drops of hinoki essential oil on the cards. It took several minutes to be absorbed and the surface remained quite oily. The aroma is great but since the standard veneer cards are coated and are laminated on a polyethylene sheet, the aroma fades quickly. 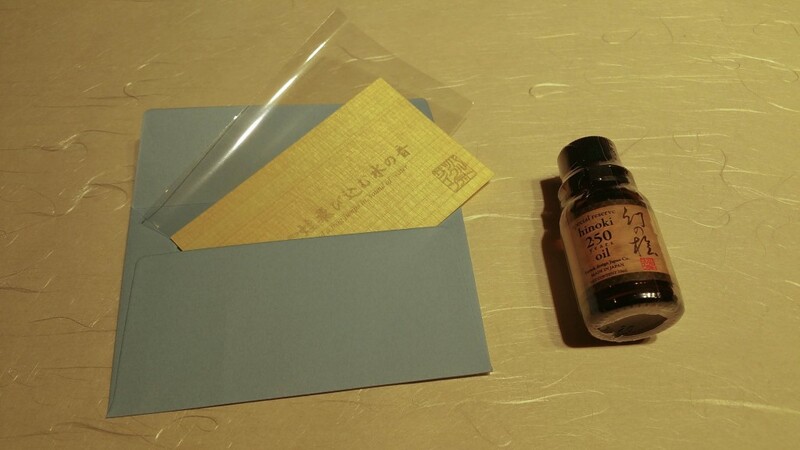 Also, the oil acted as a diluent for the ink-jet printing and some greyish halos started to be visible in some areas of the cards as the ink melted. Therefore I decided to have plain cards made for the purpose so I could apply the essential oil without side effects. Eventually I added the bartok logo with a laser emboss (no ink, therefore no halo). Of course I use them as a sample but I started to give it to friends as “aroma cards”. For an event, I created some cards with a haiku (short japanese poem) and the bartok logo. The problem of the halo completely disappeared but the fragrance is very volatile. It can last from few hours to a day (depends on the environmental conditions) but when the aroma starts to fade again you can apply one more drop of essential oil, rub it on both sides and let it dry. I did not test the same card for more than 2-3 times (I end up giving them away…) but I am sure you can restore the fragrance in this way for hundreds of times! I love these cards. I always keep one in my wallet, not just as a sample but to rub it and smell it when I feel down or need to focus and take a decision. 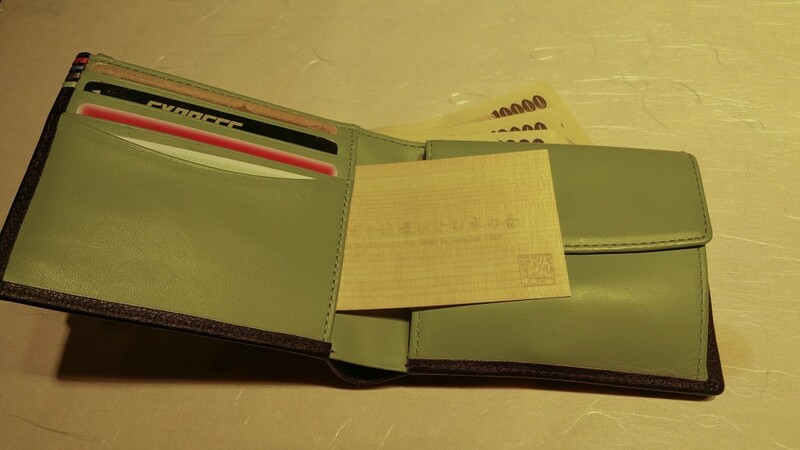 Well, it may look strange to open your wallet and smell an aroma card, but I am sure it is much more healthy than smoking a cigarette! 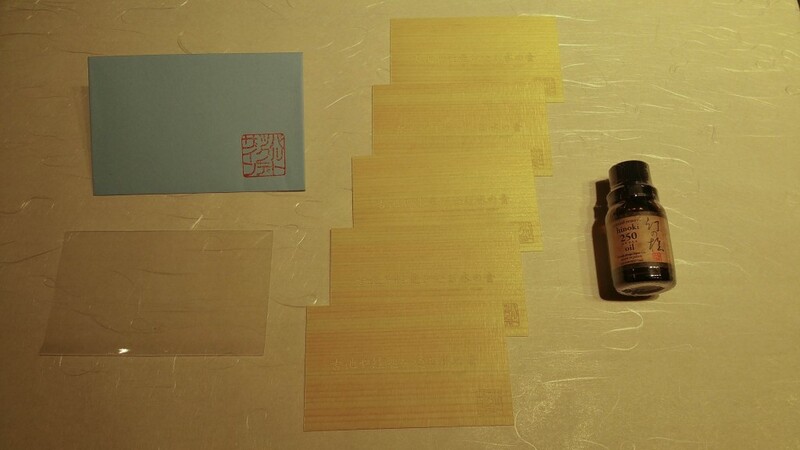 The cards are nice and when I give one it is very appreciated so I decided to solve the last problem (the absorption rate of the thin veneer) and to turn it into a product. The cards are very light, so I will be able to send them thru the regular air mail (like a letter) from Japan to any country. This shipping method is very economic and reliable. With this occasion, I am also going to provide a broader choice of messages that are embossed on the wood cards. 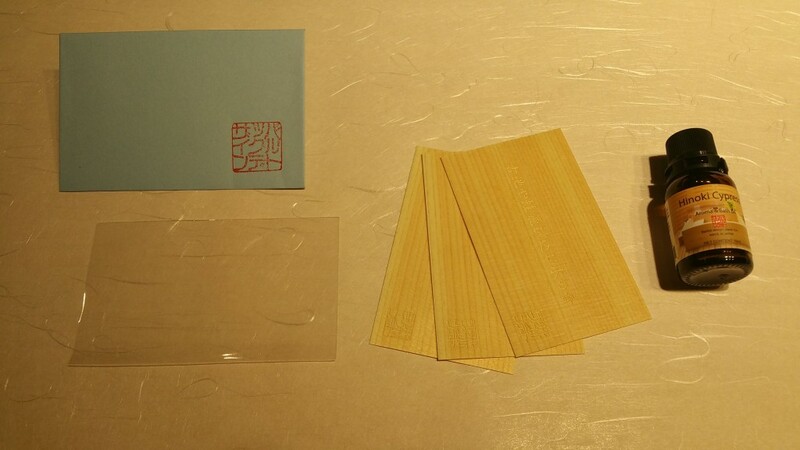 The cards will be placed in a cellophane cover (to preserve the fragrance) and inserted in a ricepaper envelope with the bartok logo. The messages (4 variations) will be chosen among the options below and from the free recommendations we will receive from you. Hold on to nothing, and nothing will possess you. really, really, really good things are coming up! When you feel you are about to fall it might mean you are about to fly! The man who moves a mountain begins carrying away small stones. It does not matter how slow you go as long as you do not stop! 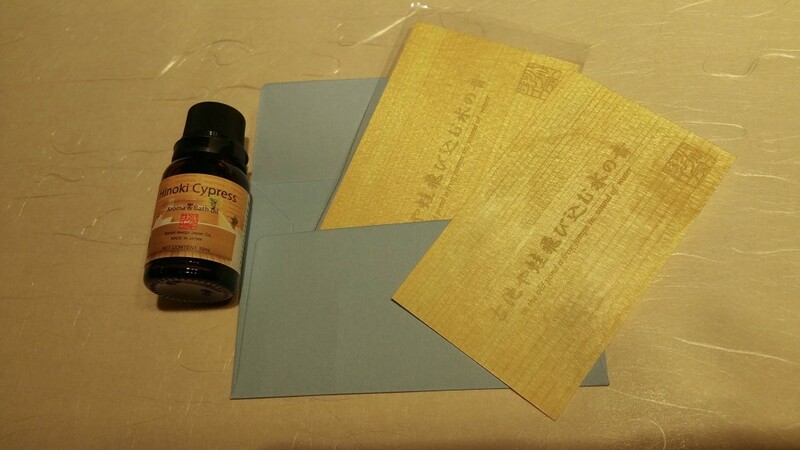 Since this is going to be a perfect present idea, I will wrap the essential oil with ricepaper during the campaign period. (Normally it will be wrapped in air packing only). Also – as stated above – remember that because of the volume order I will make, the aroma cards are sold with a 50% discount ( 1$ per card compared to the 2$ which will be the retail price from 2/2/2017). This discount will not appy to the oil, anyway shipping charges to America and Europe will be considerably cheaper than normal shop conditions. I am interested to know if Hinoki oil or aroma somehow can be added to wood cellulose to make other products and how long approximate that aroma can last? Second- I would like to explore the best price for Aroma cards. I am talking about buying approx. 30000 cards per year( or may be more) to be offered to our customers as part of our product offering. 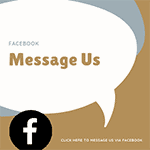 Message on the cards will change and our logo and company name will need to be printed. I need the best price please as we will be initiating a funding campiagn soon based on this. Look forward to hearing back from you. I am based in US.